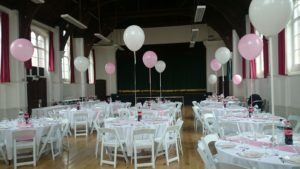 Located close to Palmers Green town centre, we are a popular choice for venue hire. We have a variety of rooms and three church halls available to hire, offering versatile and multi-functional spaces suitable for conferences through to smaller group meetings and exhibitions. If you would like to make an enquiry about hiring our halls or meeting rooms, please contact the Parish Office on 020 8886 0847 and someone will be in contact with you shortly. Our main Church Hall complex is on Bourne Hill, opposite the hand carwash and about 50m from the Church. It has three hire spaces of varying sizes. 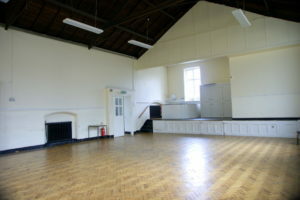 This space is used for a variety of weekly and one-off functions and events, including a children’s day nursery (one of two in the complex), after school groups, slimming clubs, our Scout troop (Beavers, Cubs & Scouts). The space has black-out curtains to the side windows and electric blinds which close up the large windows at the northern end of the building. 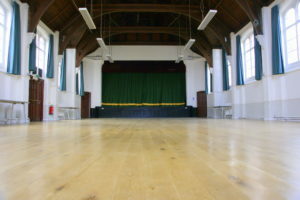 This allows the space to be used for theatre performances on the stage or floor of the hall. 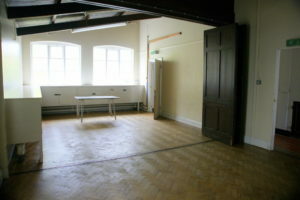 The space is home to the St John’s Amateur Theatre group. This is a space of approx 11m x 8.5m with a raised platform, containing a small kitchen area. 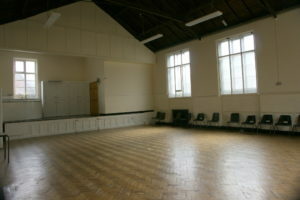 This space is often used for smaller parties and events as well as Saturday morning classes and groups. There are hatches which allow access through to the Kitchen area. 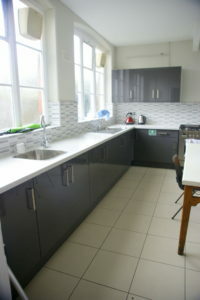 The Church Halls also have a Kitchen area with industrial cooker, Fridge-freezer and food preparation areas. 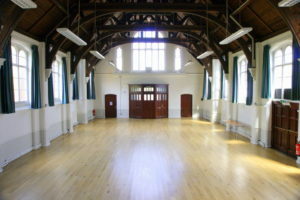 The space is a shared space but is primarily used for events in the Main Hall. 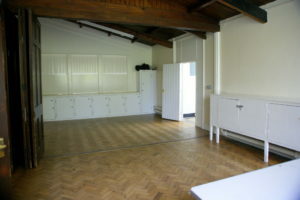 Most of our regular hirers have storage space of various sizes around the Church Halls complex. Enquiries and Booking Arrangements should be directed to Theodora Diamandi, Parish and Facilities Administrator at the Parish Office on 020 8886 0847.